The sun is out in full force, the AC is cranked to the max and the ringing of school bells has finally quieted. In other words, summer has officially begun! If you’re like most people, this means long drives to the lake with the windows rolled down, plane rides here and there to destination spots, or lazy days of vacation bliss at home. But as amazing as summer vacations are, they often throw a wrench in the everyday practice routine of musicians. After all, lugging your guitar with you on your cross country road trip isn’t always feasible. But, rest easy, fellow music lovers…you can still stay connected to your craft even without your instrument by your side. The next time you’re on vacation and forced to miss out on your regular guitar, keyboard or bass lessons in Scottsdale, hit the books instead! The long car rides and boring plane rides inherent of summer vacations are the perfect opportunity to crack the spine of a book and catch up on some reading. 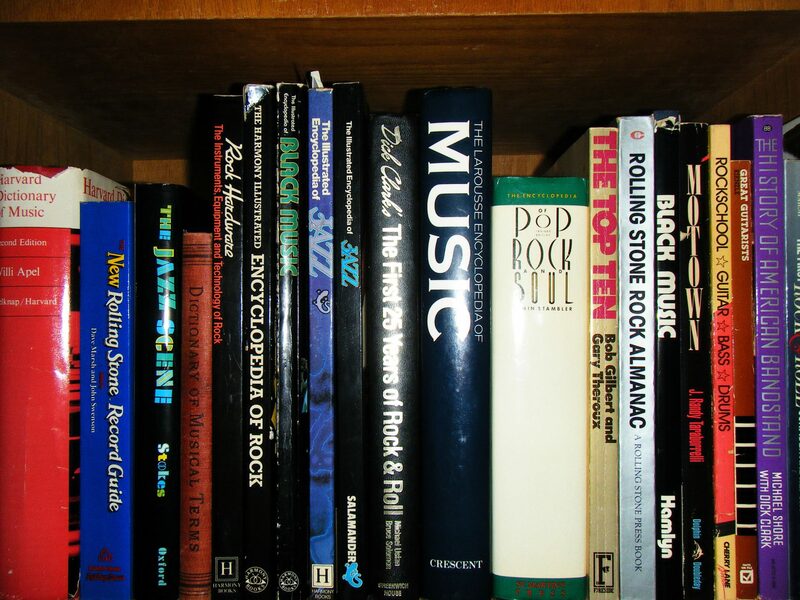 Below we’ve highlighted some of the best books for musicians that will not only help you get your music fix in while on the go, they’ll give you a new outlook on your craft. For musicians looking to delve deeper into the hows and whys of music and emotions, this is the go-to book. Levitin examines the psyche and science behind music, exploring everything from musical preference to the basic ingredients needed for a hit song, all through the lens of the neurological workings of the brain. Whoever said science and art can’t coexist, clearly never read this book! Passman’s book is considered to be a staple guide for aspiring musicians. Not only does Passman explain the ins-and-outs of the music industry, he does so with a humor that’s so original readers of the book will be both informed and entertained. After reading Passman’s book, you’ll have all the know-how to impress your instructor during your next vocal or bass lessons in Scottsdale and maybe even teach them a thing or two. Do Not Sell At Any Price will resonate with music lovers who appreciate the rich history of the music industry and like learning about the vintage recording formats of yesteryear. In this book, author Amanda Petrusich investigates the world of 78rpm records that first became popular in the 1920s, and introduces us to the small group of vinyl record collectors who are working to preserve this forgotten, but important music artifact. There are plenty of good books on the history of rock ‘n’ roll, but none are quite as innovative and original as this one. For starters, this isn’t a chronicle or summary of the most iconic rock performers of all times; instead, it is an exploration of ten songs, their meaning, legacy and reinvention by various performers over time. Overall, Marcus’ book is a fascinating look into the complex inner workings of a song and all of the factors that contribute to its success or failure. What better way to get to know a legendary singer-songwriter than through his own words and reflections on his rise to the top. With Chronicles: Volume One, you’ll get to know a whole new side of music icon Bob Dylan. Written by Dylan himself, this memoir not only offers insights into his musical stardom, it gives fans a look at the man behind the music, and the personal experiences and events that have helped shaped him along the way. Feeding your inner musician with these music-focused books will give you just the right amount of inspiration and creativity to hold you over until your next jam session during your guitar, keyboard or bass lessons in Scottsdale. Kick off your summer vacation with these books and we promise you won’t regret it!